Are you looking for fun ways to entertain your family? 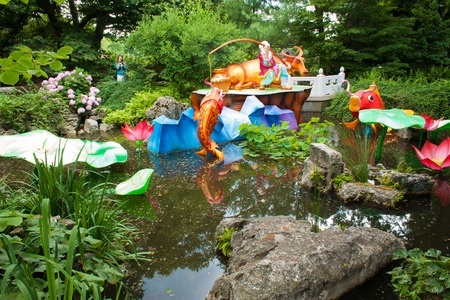 The Missouri Botanical Garden has plenty of local events that will delight all ages. For thousands of years, these festivals have played an integral part in Chinese culture. The lanterns on display during the festival will be made of traditional materials such as porcelain, silk, and wire. A description for each lantern will explain the design’s meaning, symbolism, and tradition. 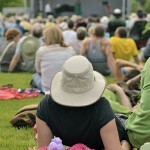 Music will fill the air at the Cohen Amphitheater with several genres including blues, jazz, and rock. Visitors can bring chairs, blankets, and a picnic basket full of goodies. Discover the many desert plants and the role they play in our lives. Visitors can see cacti and plant collections that are not generally on display at the Botanical Garden. Learn how to live a green lifestyle through hands on activities and by speaking with green product and service exhibitors. Live music, food, and drinks are also a part of the festival. This event is one of the largest and oldest of its type in the country. It offers plenty to see and do including a 14 acre Japanese garden, sumo wrestling, bonsai demonstrations, and taiko drummers. Shoppers can buy food products, flowers, and handmade crafts such as baskets, jewelry, and wooden toys. Event is held rain or shine. Adults and kids alike will get in the Christmas spirit by exploring miniature holiday scenes that include G-scale trains, decorations, and various plants. Listen to live music as you wander through the uniquely lit gardens after nightfall. Pay attention as you admire the twinkling lights because you may discover surprises throughout the exhibit. Some of these events are months away, so don’t forget to mark your calendar. In the meantime, if you would like to learn about living in the Shaw area of St. Louis, contact us. We will be happy to show you around and help you find the perfect home.